2018 sees the eighth season of Sailonline’s association with tall ships races organised by Sail Training International. This year’s racing will take us not only around Europe but also into the Far East and the Sailonline series will include all five of the scheduled races. As always we will endeavour to bring a selection of Class A ships on-screen so that we can compare our performance(s)! The Three Festivals Tall Ships Regatta - starting in May, two races from Liverpool, England, to Dublin, Ireland and then from Dublin to Bordeaux in France. 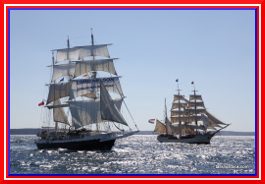 The Tall Ships Races 2018 - two races in July – Race 1 from Sunderland, England, to Esbjerg, Denmark and Race 2 from Stavanger, Norway, to Harlingen, Netherlands. 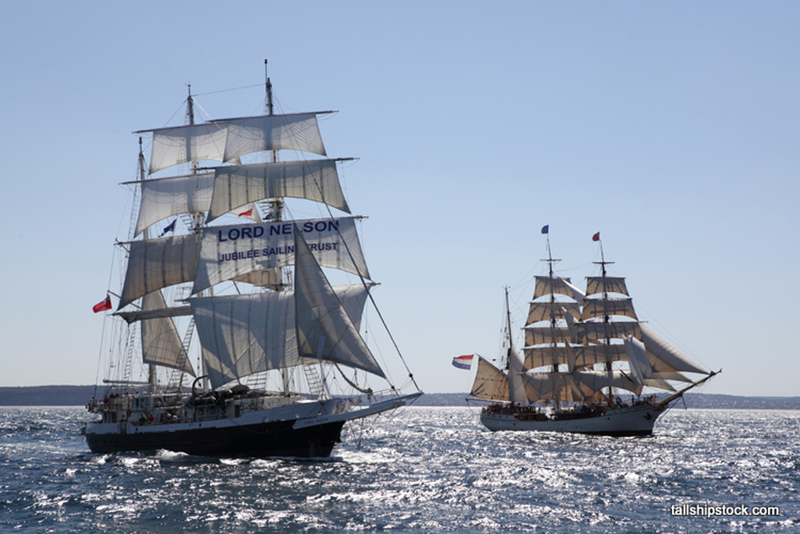 In between, the real ships will Cruise-In-Company between Esbjerg and Stavanger but shore-hugging our Class A polars is not a good idea so again this year we will be leaving the real tall ships to their meanderings! SCF Far East Tall Ships Regatta - one race starting at the end of August from Yeosu, S Korea to Vladivostock in Russia. This virtual sailing experience runs hand in hand with Sail Training International's mission - the development and education of young people through the sail training experience, regardless of nationality, culture, religion, gender or social background. Sail Training International and Sailonline both count heavily on volunteer support with financial gain excluded from the equation. Navigating a tall ship is a remarkably challenging affair, especially if you are more familiar with modern yachts, and gives a real insight into the true nature of ocean exploration in days gone by, so why not start learning the basics today so you will be ready for your Tall Ships experience! There are four classes of Tall Ship in the real races, ranging from the biggest Class A Square Rigged ships of more than 40m in length, down to training yachts of 9.14m. Sailonline has developed performance polars based on published data for several different tall ships, and races to compete against Class A ships. Sailonline's first race will open for practice on Sunday, 20 May.